Celebrate our Independence Day by showing our colors with the red, white and blue. These wreaths are available and ready to be displayed on your front door. 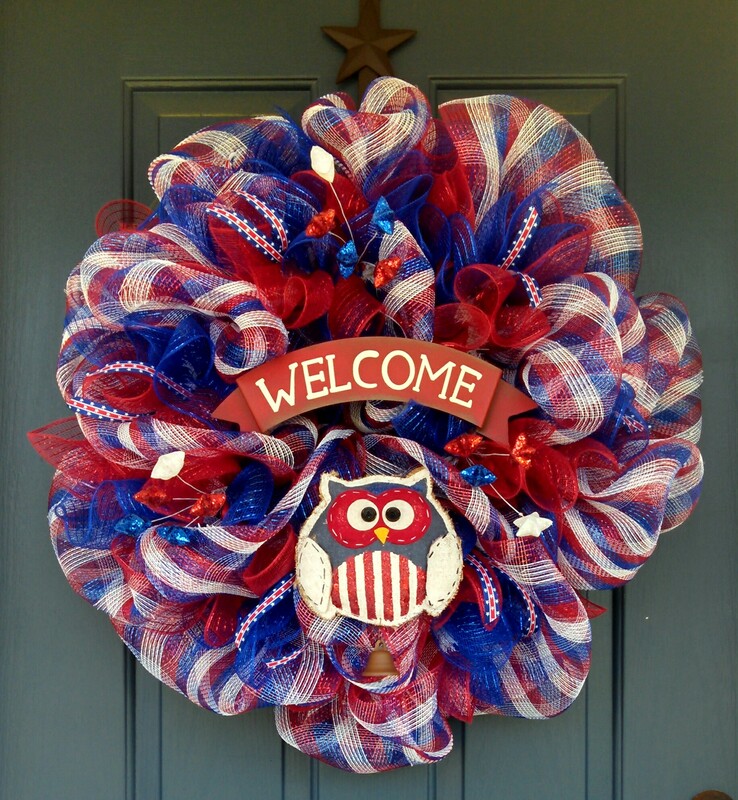 “Patriotic Owl” is 39″ wide and 9″ in height. The “Stars and Stripes” is 27″ wide and 9″ in height. Previous Post Need a Birthday Gift?